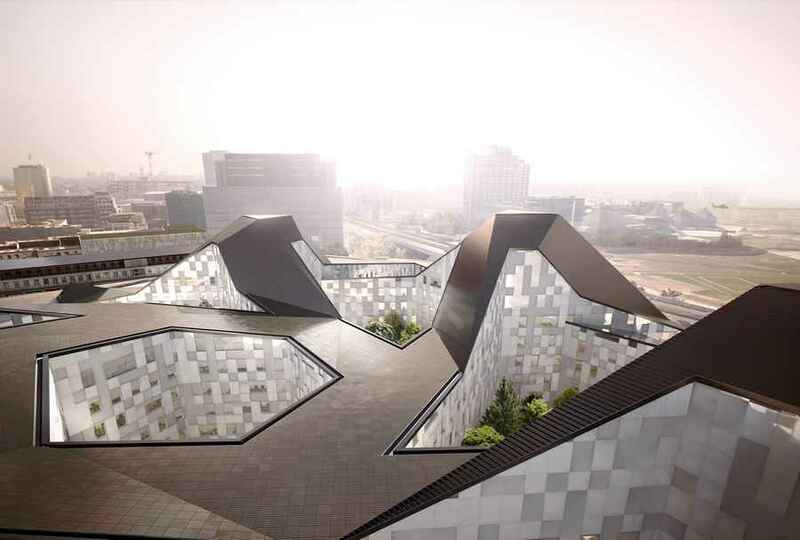 The new headquarters of the Ministry of Defense in south western Paris has been designed as a natural machine. The building’s façade alternates between both transparency and opacity via horizontal slat work, providing both intimacy and transparency. The wings of the building are built on stilts surrounding internal courtyards under a vast origami-like roof made of angular sections. The project will bring together all of the main bodies of the French armed forces ( Army, Air force, Navy) on one site. This page contains a selection of major Paris office building designs, with links to individual project pages. We’ve selected what we feel are the key Parisian Buildings, but additions are always welcome.